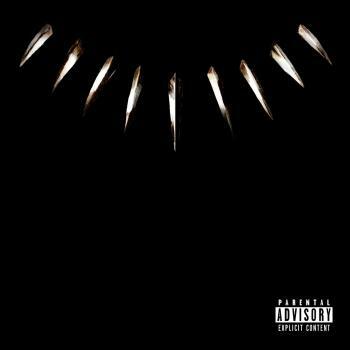 Growing up in the merciless city that is Compton, California, it wasn't long before 23 year-old Kendrick Lamar, formerly known as K. Dot, would become acquainted with the harsh realities of the world. Sheltered by no means, the emcee was exposed to a lifestyle commonly adopted in the inner city. However, this exposure didn't influence his character in a way that on-lookers would expect. WIth the wisdom from his father, Kendrick had a balance in his life that many of his childhood peers were missing. It is this balance that is responsible for his untold story of "Good Kid, Mad City," the life of young black males trying to escape the influences of Compton. During his upbringing, Kendrick was constantly surrounded by an eclectic range of music. Lending his ear to R&B masters such as the Isley Brothers as well as Hip-Hop legends like Tha Dogg Pound, which helped prepare him for the opportunities that would one day arise in the music industry. At age 16 Kendrick released his first mixtape Y.H.N.I.C., creating a buzz in his hometown and garnering the attention of TopDawg Entertainment's CEO. From then on, Kendrick worked to perfect his skill under TopDawg, releasing four new projects in a five year span; Training Day, No Sleep Till NYC, The Kendrick Lamar EP and his most recent project The Kendrick Lamar OD which received praise from some of the most respected online music sources. Additionally, he has released multiple tracks under the group name Black Hippy with fellow TopDawg counterparts Jay Rock, Schoolboy Q and Ab-Soul. Through these efforts Kendrick was able to showcase to the world his unparalleled ability and humorous word play. Kendrick's handwork and unmatched talent has allowed him to work with a wide range of respected music vets such as The Game, Lil Wayne, Snoop Dogg, Little Brother, Jay Rock, DJ Quik, Scott Storch and Cool & Dre. He is currently working on his debut album, and alongside legendary producer Dr. Dre on his highly anticipated upcoming release Detox.